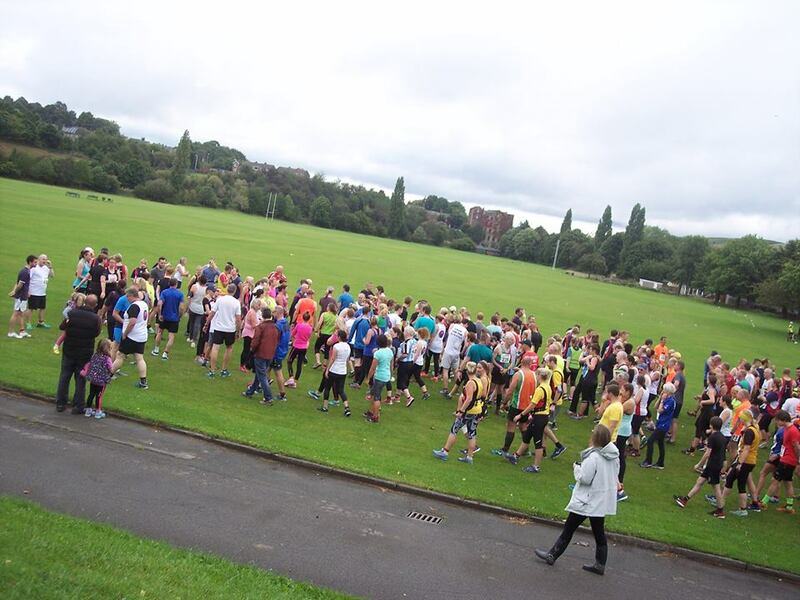 On Sunday 4 September, Leeds Road Sports Complex played host to the Kirkwood Hospice 10K. Northowram Pumas were originally to be represented by four strong-willed participants, in Melissa Hall, Vicky Owen, Carine Baker and yours truly, but after this particular scribe suffered an horrific toe injury on the Wednesday prior to the race – the injury was so bad, in fact, that several dosages of Ibuprofen needed to be administered – the contingent was down to three. However, at the last moment, Matt Newton (who else?) stepped into the breach having being coaxed, seemingly, by Carine, to the point where Matt simply couldn’t refuse. Having being alerted to my non-availability by certain members of the Pumas, it was put to me that perhaps I could give some coverage to the performances of our runners, so armed with my Kodak EasyShare DX7630 – a state -of-the-art- model when it was purchased in 2005 – I was on hand to take some jolly snaps to help illustrate my report. Which is as follows. Pre-race, and myself and the four ever-willing runners met up to discuss the run. 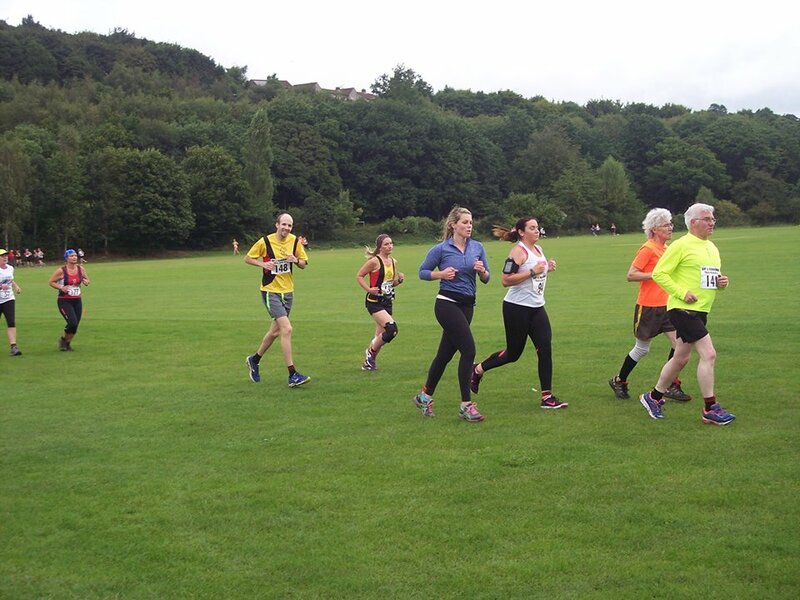 The course itself was straightforward enough and none too tasking; two laps of the field (thereby completing the first mile), out on to Leeds Road heading in a north-easterly direction for a few hundred yards before turning back on themselves along the canal. From there, it was around another half-a mile before taking the bridge (the only inclined section) to join the cycle path. After another half-mile the course rejoined the canal, the route taking the runners back towards the sports complex and out onto the road to begin a second circuit. 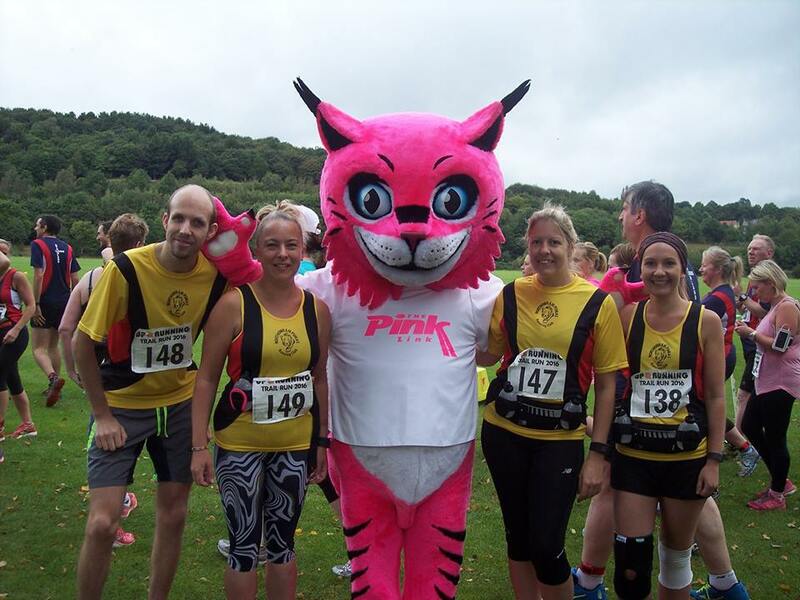 The Pumas posed for the obligatory pre-race photos before joining in with a nifty warm-up routine, one in which Matt showed some lovely hip movements, doubtless honed from his time spent in the discos with Neil Coupe. But just as they were getting in the groove, the runners were told to make their way to the start. I can’t be certain, but the words ‘taking it steady’ were overheard coming from the Pumas, something which bore testimony when the fab four took their places towards the back of the assembled throng, which mustered over two-hundred. 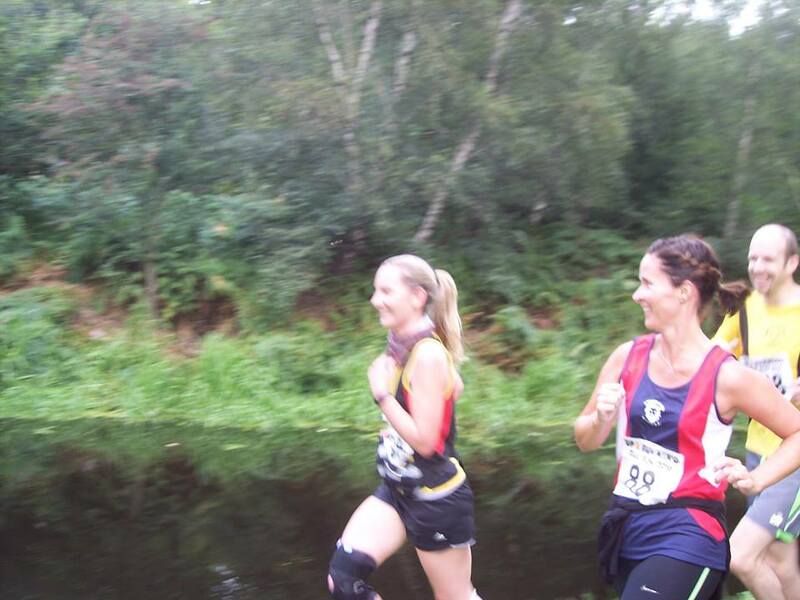 The race began, with the Pumas all smiles for the cameras, Melissa and Vicky giving reassuring waves. After two laps of the field, the run was developing. 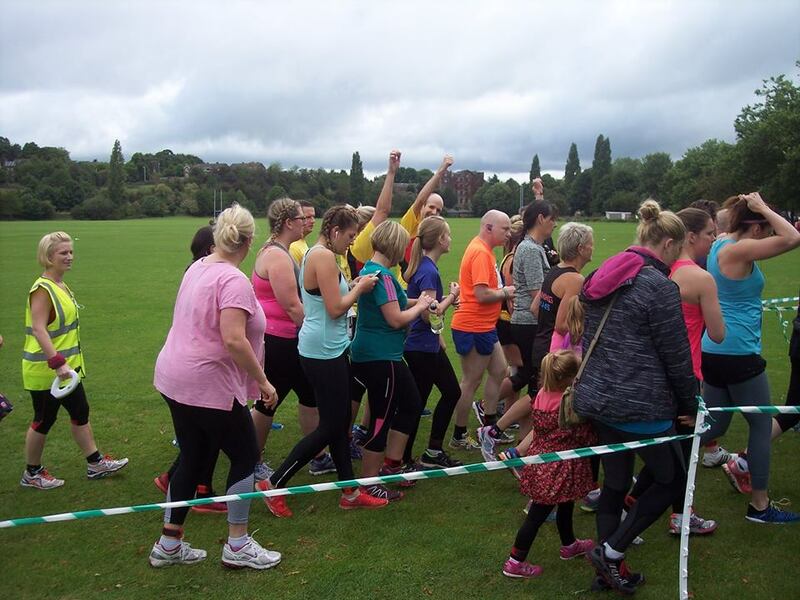 Matt and Carine had stolen a march on Melissa and Vicky, and the runners headed out onto the road. 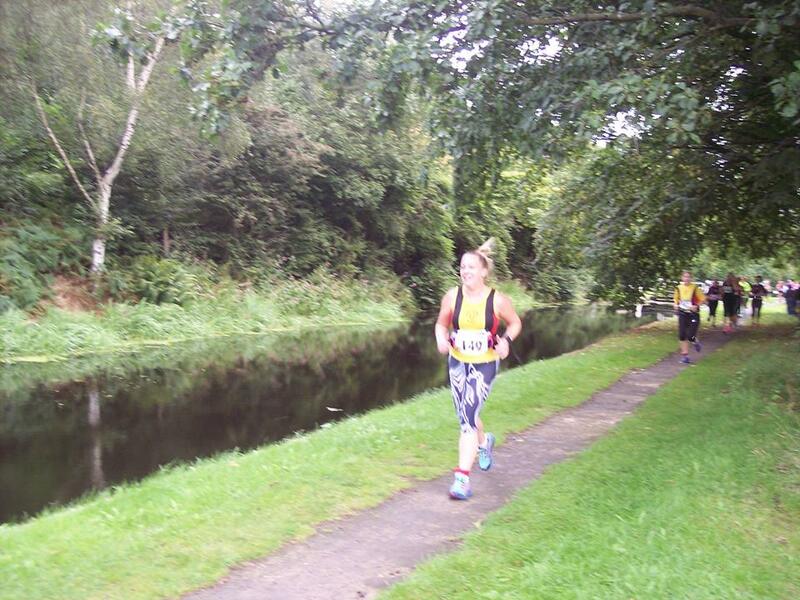 A quick sprint (despite aching toe) meant that I could catch up them again along the canal, Matt and Carine still leading the way for the Pumas. 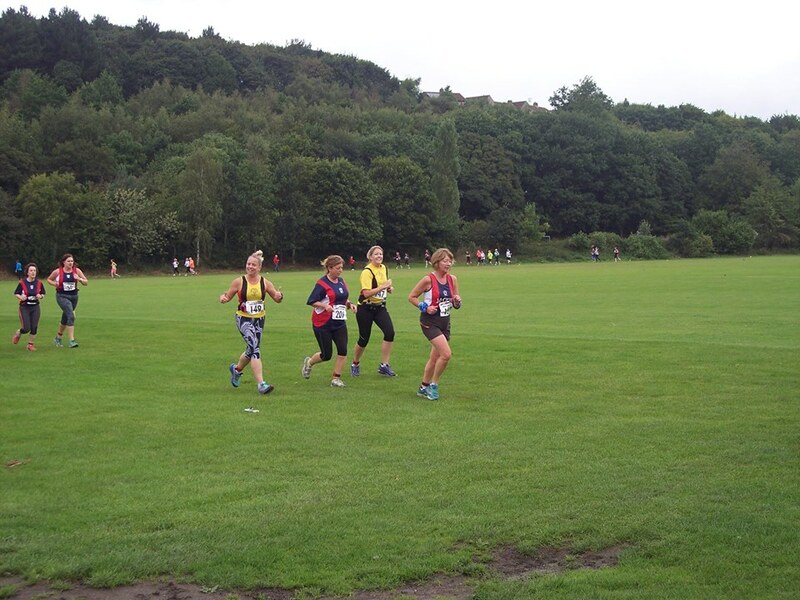 Not far behind, Melissa was striding out, though Vicky was running comfortably and still able to give us another smile. The runners disappeared from view, giving myself and mascot Bella time to peruse the facilities. 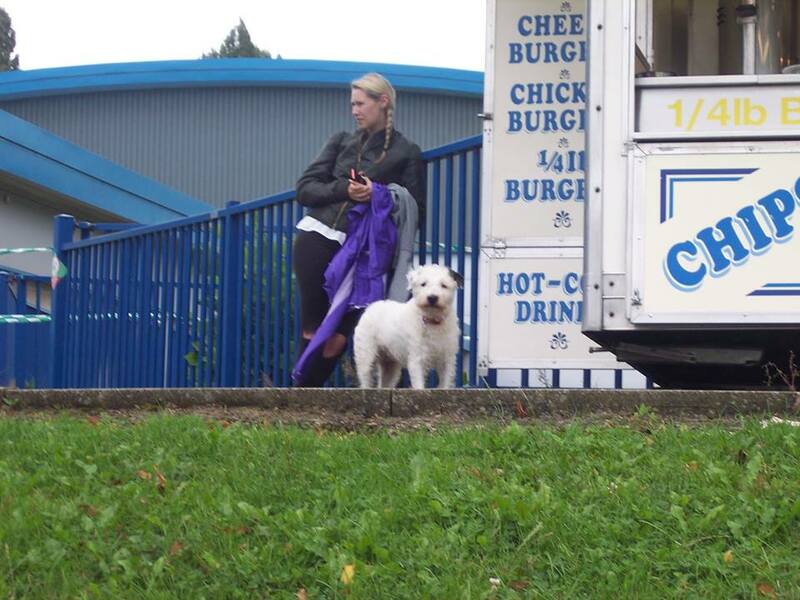 The burger bar looked tempting, but being a disciplined athlete, I managed to refrain, much to Bella’s dismay. The finish of the 10K involved running three-quarters of the adjacent athletics track, which, before I knew it, was welcoming in the first of those running the 5K. 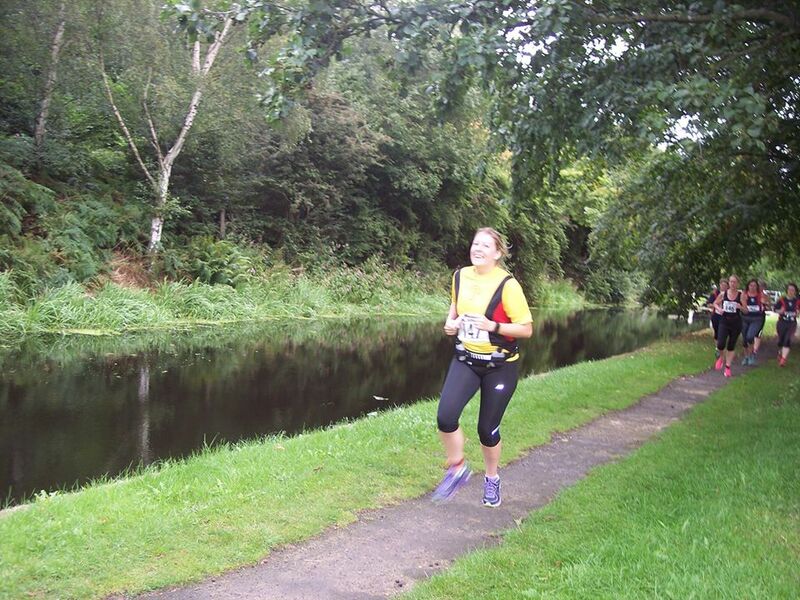 In due course, the Pumas appeared from their first trek along the canal and cycle path to begin the second lap. Matt was leading the Pumas along, Carine was next, then Melissa, and finally Vicky. Again, from a distance, through the trees as they ran along the canal, it seemed a case of ‘as-you-were’. It wasn’t unreasonable, then, to expect Matt to be the first Puma to enter the final section of the course – the athletics track. But events out in the sticks meant that things were not so clear-cut. As the leading runners entered the car park and through the funnelled section which led them to the track, this intrepid reporter positioned himself handily to capture the first Puma. Soon enough, they appeared. But wait; those were not the long legs of Matt. Who could it be? 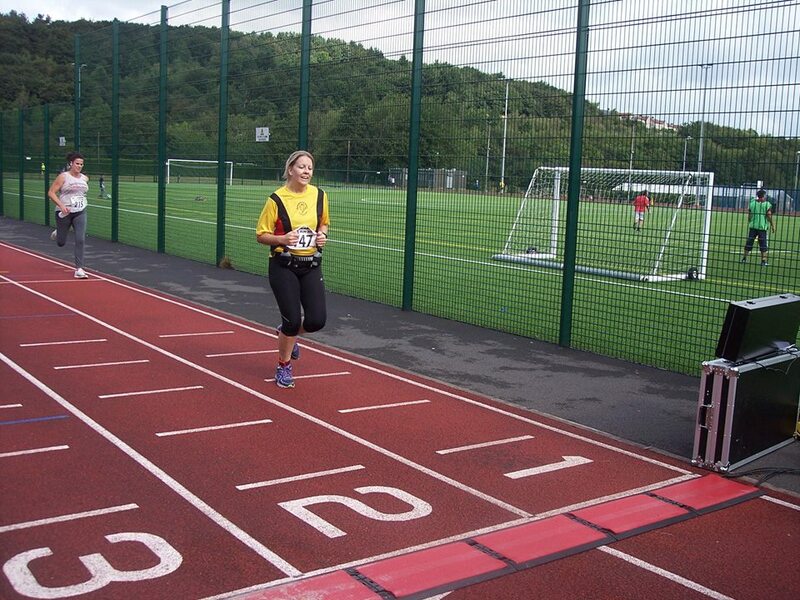 Well, distinctively, it could only be Melissa, now leading the charge for the finishing line. She had a smile on her face when she entered the funnel, but that seemed to disappear when she realised there were still 300 metres of the track to negotiate! 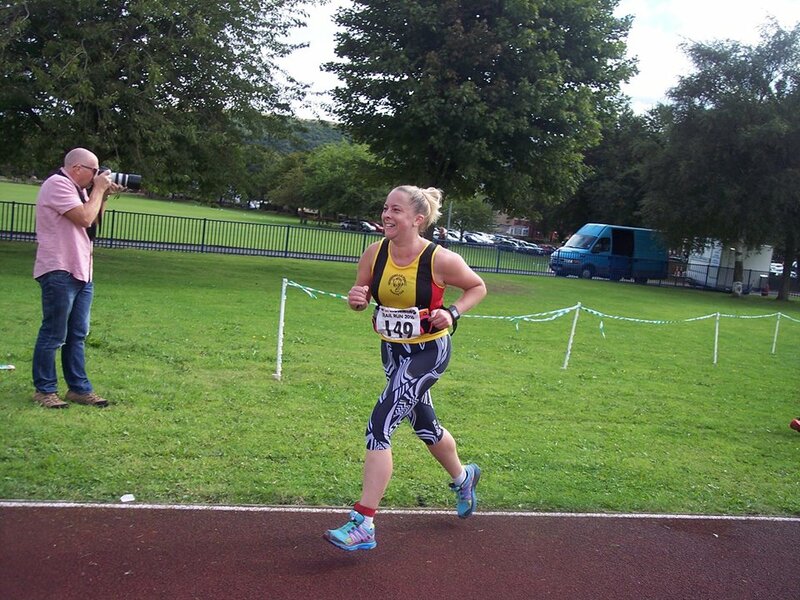 Mel stuck to it, and crossed the finishing line in 59:42.
Who would be next? It was Carine, putting on a spurt to finish in 1h 01.08. 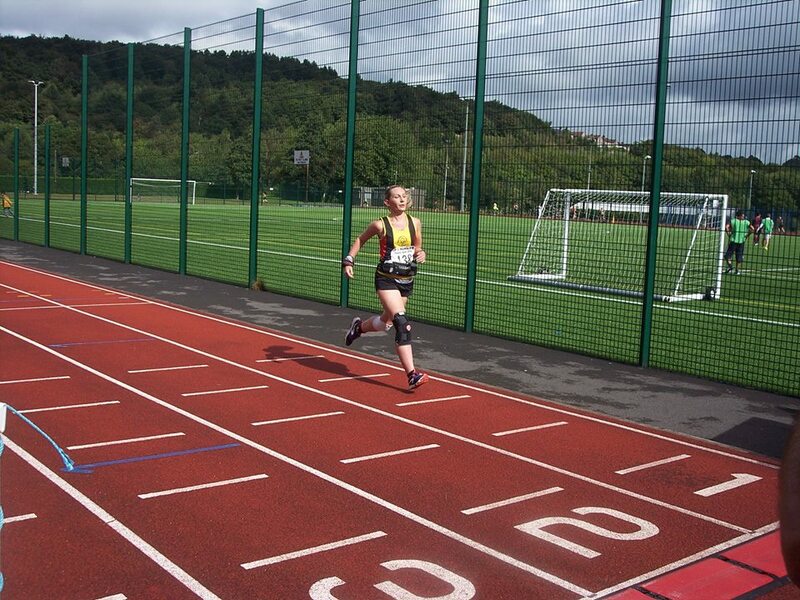 Vicky followed, looking so relaxed nobody would have thought that this was only the second 10K she had tackled. 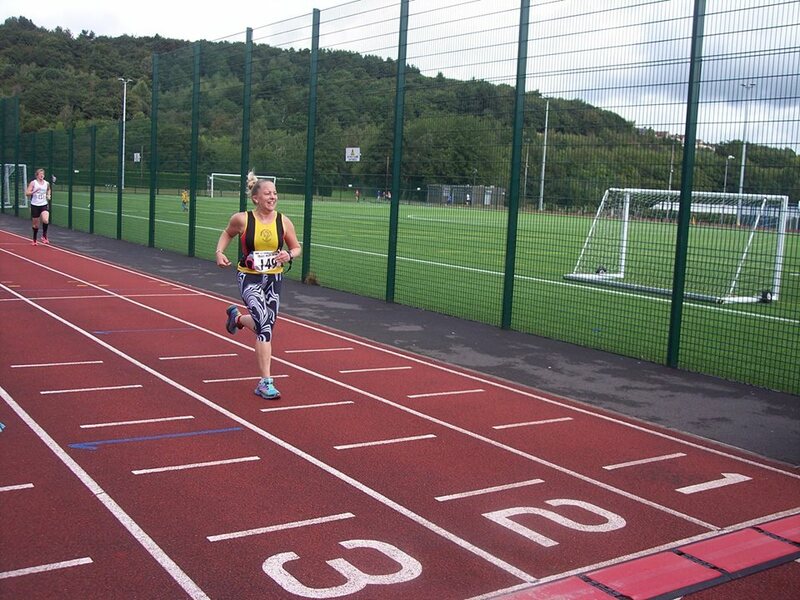 Her finishing time was 1h 02:42. And around 200 metres further back was Matt. 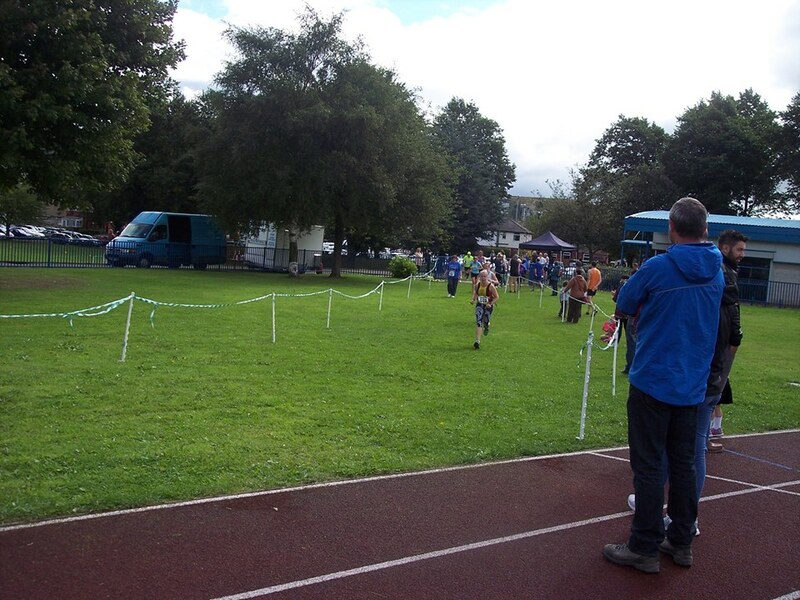 He made it to the finish clearly in some distress and was on the verge of collapse as he crossed the line. Six weeks of inactivity through injury (Achilles) had taken its toll, and the final 3-4K were perhaps a few steps too far. But full credit to Matt, and indeed, all our runners for completing the course. Everyone was smiles after the run, and experiences and stories were exchanged. Food and (non-alcoholic) drink was consumed. 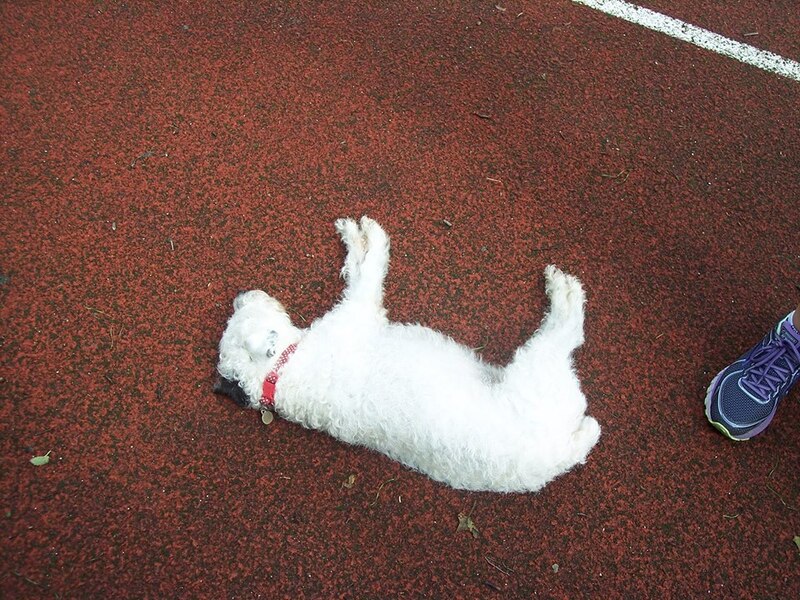 Bella was exhausted after all the excitement. And Matt, Melissa, Carine and Vicky all seemed delighted to have taken part. As indeed, would this roving reporter have done. 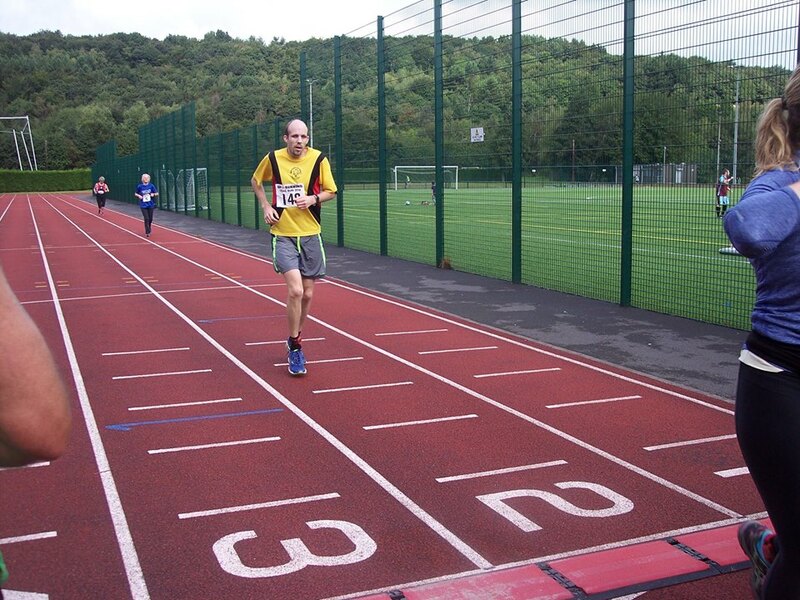 A quick check of the results might suggest that, as a matter of fact, he did, in a time of 1h 03:48. For after all, why should Matt do all the worrying?! Massive thanks to Johnny Meynell, reporter extraordinaire. Johnny retire from running – you now chief report writer for Puma events! !